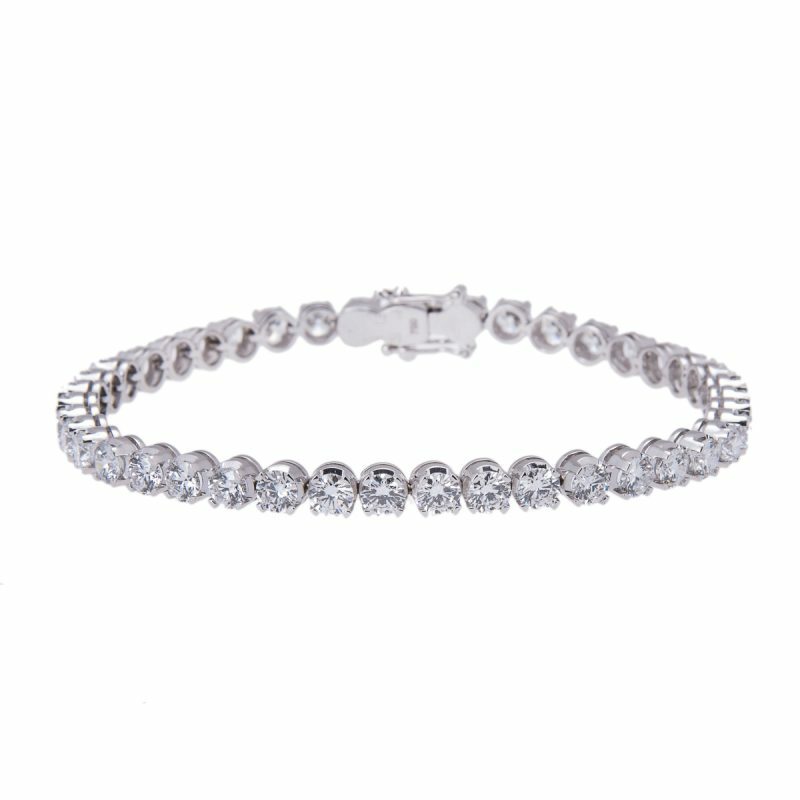 Diamond line bracelet set with over six carats of diamonds skimming the wrist, a ribbon of painstakingly sourced gems, each claw set into a bracelet for the discerning wearer. 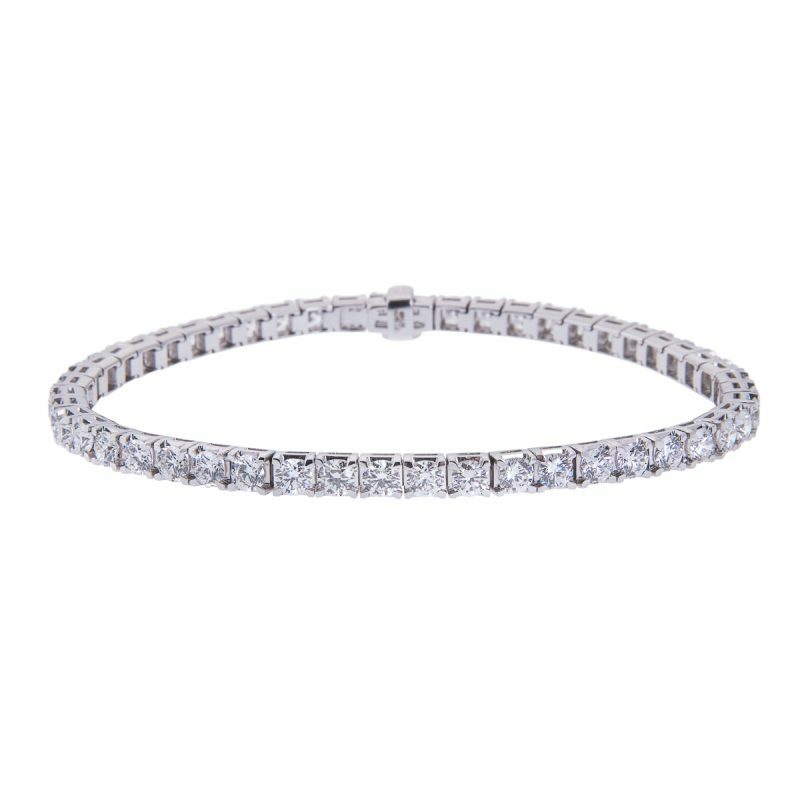 Coco Chanel’s motto “before leaving look in the mirror and remove one item”. 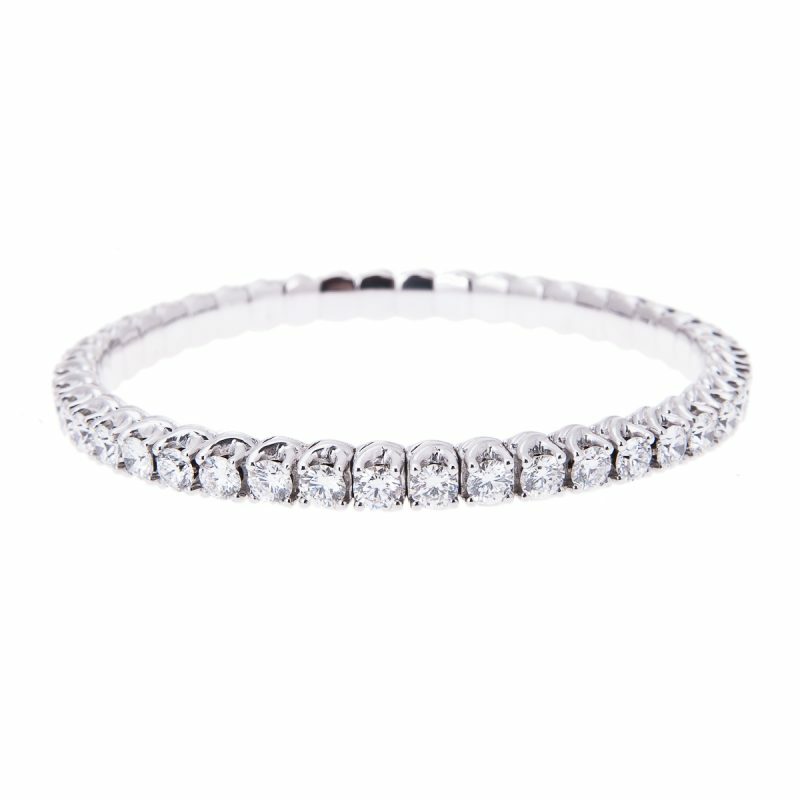 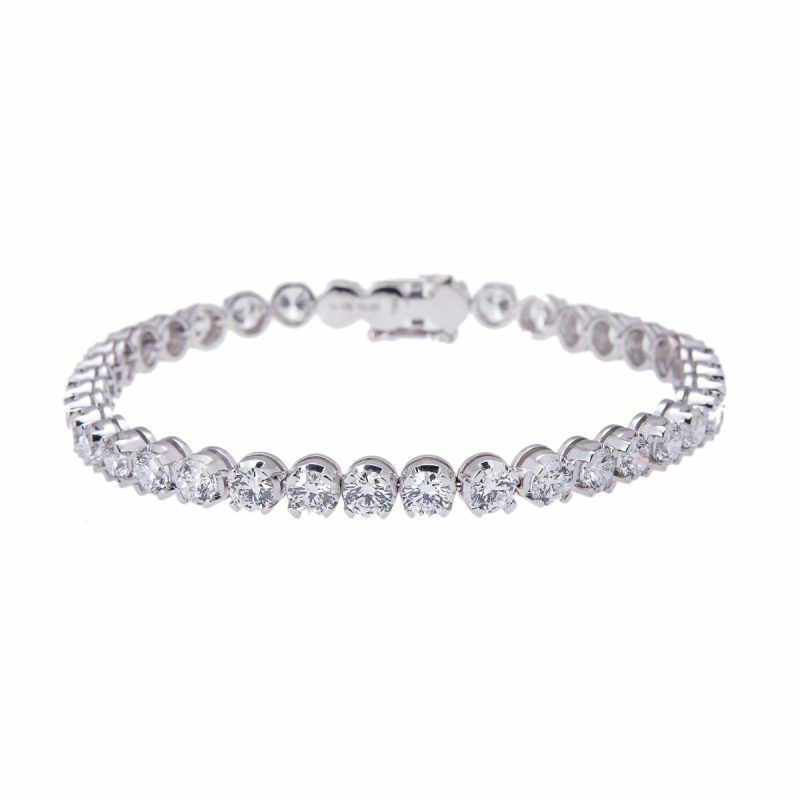 This 18ct white gold brilliant cut diamond bracelet will never leave the wearer’s wrist, becoming your signature piece, from the Parisian boulevards to the flower filled meadows of Grasse.